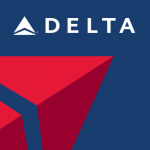 A frequent question from Delta customers… Is Delta Travel Insurance worth buying? 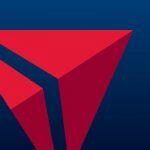 When we review Delta Travel Insurance we easily conclude – it is not good. You probably spent a good deal of time and effort searching to get the right flight for your trip. In all probability Delta Trip Insurance is going to be expensive, and not cover what you need. Finally, Delta Travel Insurance does not offer a Cancel for Any Reason option, either, so cannot offer the type of flexibility that many travelers need. There is no medical evacuation cover to get you home if you are within the USA. It can be twice as expensive as other trip insurances that include full cover. Now, as bad as this is for Domestic Travel, for International Travel, Delta Travel Insurance is even worse. 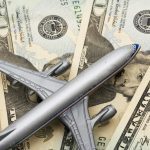 Delta provides only $10k of Travel Medical Insurance for international flights. You need $100k of cover. Delta leaves you uncovered. $50k of Medical Evacuation cover from Delta is half what we recommend. You should take at least $100k of MedEvac cover. You will find stronger cover at competitive prices by shopping with a Travel Insurance Marketplace like AardvarkCompare. So, please be very careful. 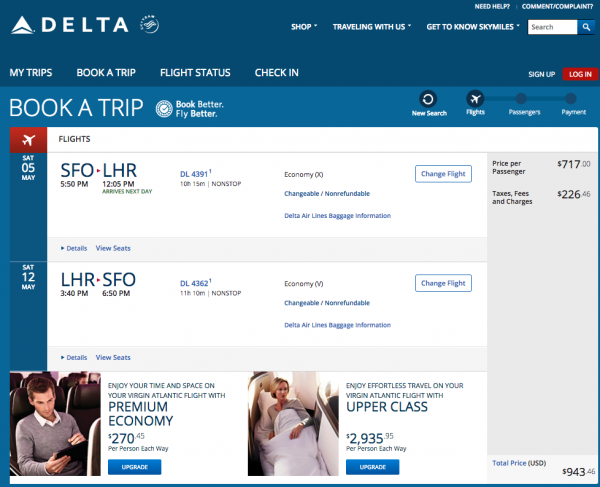 Delta may well be a good airline, but it offers very weak travel protection cover, that can be double the price of much more comprehensive trip insurance options. Run a quote with us at AardvarkCompare, and in less than a minute, you will have a dozen Travel Insurance plans to compare against Delta. It’s hard to imagine that you won’t find a better option. 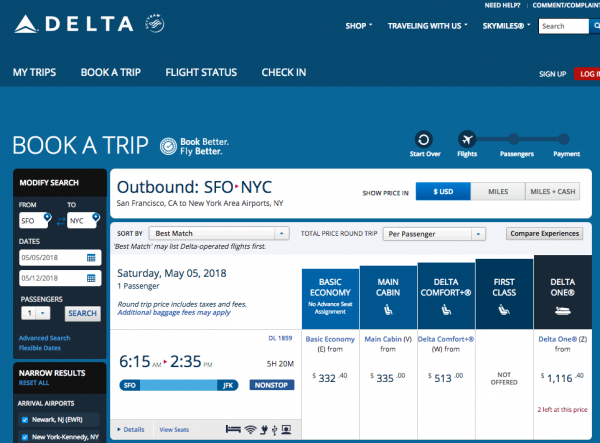 We took a look at a flight from San Francisco to New York in May. 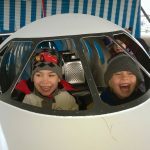 Our choice was an inexpensive non-refundable return flight that came in at $407. We think that this is really good value for such a long, trans-continental trip. During check-out, we are obliged to confirm whether we want Delta Travel Insurance or not. This is a hard-sell tactic, and we don’t like it. The cost is $25. Now, many people will just tick the box and buy Delta Trip Insurance. Please don’t. Take the time to check what it includes. Identify what’s missing, and check the cost. Just two minutes of your time. Here’s the cover table for Delta Travel Insurance when you travel domestically within the USA. 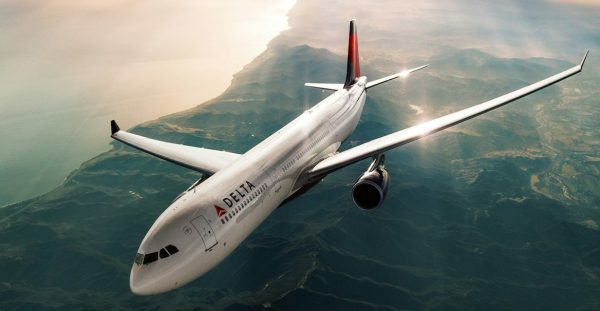 Your personal health insurance is going to need to cover you out-of-state, because the Delta trip insurance policy has nothing to help you with. That means that any health insurance out-of-state or out-of-network deductibles and co-pays will be yours to cover. The Delta travel protection policy is not going to be of support. If you need to be flown home with doctors and nurses in the event of an accident, again, no help from Delta. If your boss cancels your vacation, the Delta Travel Insurance policy offers no help at all. These are really important elements that you would ordinarily want to see in a decent trip protection plan. In less than one minute, here are the options we found for this trip. 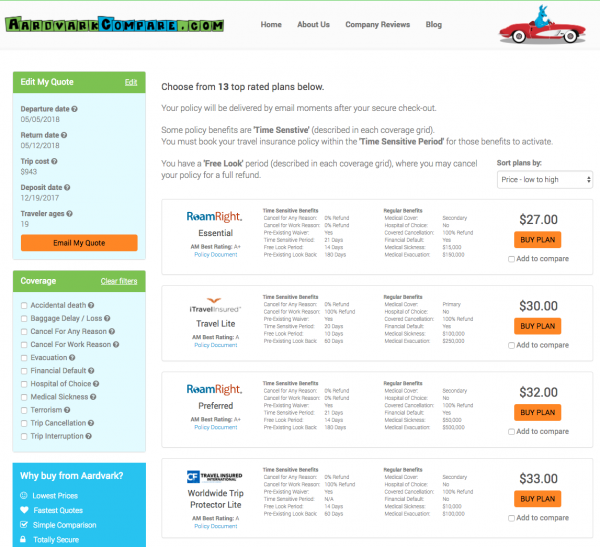 iTI, RoamRight, and TII all have great value trip insurance plans for around $20. We offer a number of low-cost travel protection plans, but the iTI Lite plan gains most interest. It is certainly low-cost – only $19. But note how robust it is when compared to the plan offered by Delta. The Cancel for Work cover would offer a 100% refund in the event that your previously agreed vacation was cancelled. We think that this is a super-helpful benefit. 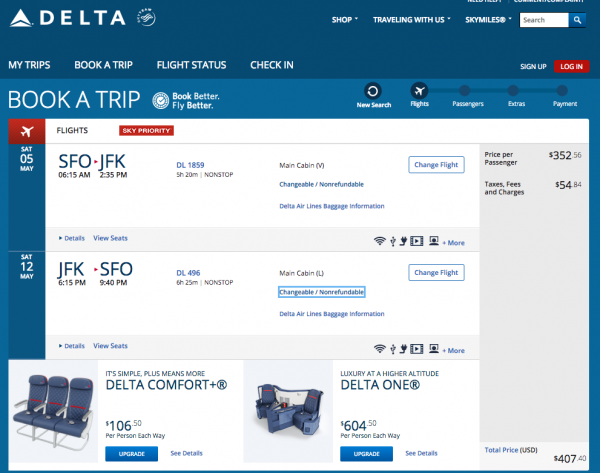 When you look at an airline site, the airline would prefer you to buy a refundable seat. And, plenty of travelers do exactly that. Let’s take a look at the EXACT SAME flight, but with the refundable option. The price has jumped from $407 (Non-Refundable) to $1,682 (Refundable). The seat is the same. All that has changed is that we can have our money back if we cancel. But, Delta wants us to pay an extra $1,300 for this refund benefit. 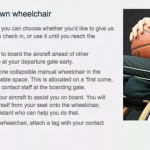 Before you book that refundable seat, try this. See how much ‘Cancel for Any Reason’ cover will cost you. The iTI Travel LX plan is only $28. 100% refund – Cancel for Work. 75% refund – Cancel for Any Reason at all. 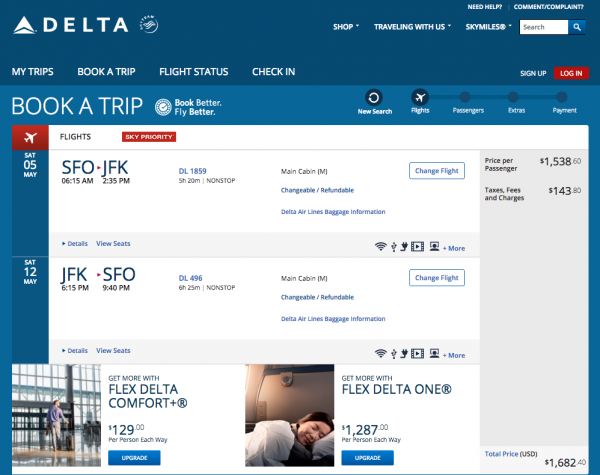 Compare this $28 iTI LX policy with the skinny trip insurance that Delta offers. There is no comparison at all. The iTI policy is far superior. It pays to shop around for a minute or two, prior to buying travel insurance. Cancel for Any Reason cover is a super-powerful benefit that does exactly what it says. A traveler needs no reason at all to cancel yet still receive a significant 75% refund. It is a Time-Sensitive benefit, so the trip insurance will need to be bought within two weeks of your initial trip deposit for the ‘Cancel for Any Reason’ cover to become enabled. The use of Cancel for Any Reason insurance to lower airline prices has been described as the Airline Ticket Hack. Refundable benefits, yet with non-refundable ticket costs. As bad as Delta Travel Insurance is for domestic flights, it actually gets worse when we travel internationally. Here is a recent trip we planned from San Francisco to London. Our Economy flight was priced at $943. Now, we know that we are going to be encouraged to buy Delta Travel Insurance for this flight, because Delta does this every time. But what trip insurance does Delta want us to buy? What cover levels are there? Before we look at that, let’s take a moment to think about what we really need. Every comprehensive travel insurance policy will cover cancellation of a trip because of issues that were completely unexpected. Things like death, serious illness, jury duty etc. The next level of cover included in the insurance rate that we are offered will add Cancel for Work Reasons protection. The best policies support us if we get made redundant after only a year of service with an employer. The worst need us to have been an employee for three continuous years. Additional protection on the best plans will also help us if our employer cancels our vacation. Many weaker trip insurance plans have no such work vacation cancellation protection, so beware. Finally, for those of us who have truly chaotic lives, it is great to be able to Cancel for Any Reason at all and get a refund. There are very few of these policies available, but we ensure that they are made available to our customers. We really like the additional benefit that they bring to a customer. For almost every traveler, once they leave the USA, they are on their own. Their health insurance plan that supports them in the USA rarely offers any protection at all when overseas. State Department and CDC are very clear about this – health care overseas is expensive, and the US Government is not going to help pay for it. Even if a country has subsidized or fully inclusive state health care, that does not help a traveler. Visitors to the UK, Mexico or Canada, for example, are going to pay full private rates if they get sick or injured. So, how much travel medical insurance cover would we recommend? Now, granted, that may seem a lot, but serious accidents or illnesses requiring specialist health care when overseas gets very expensive. Daily rates of $3k to $4k are not uncommon. 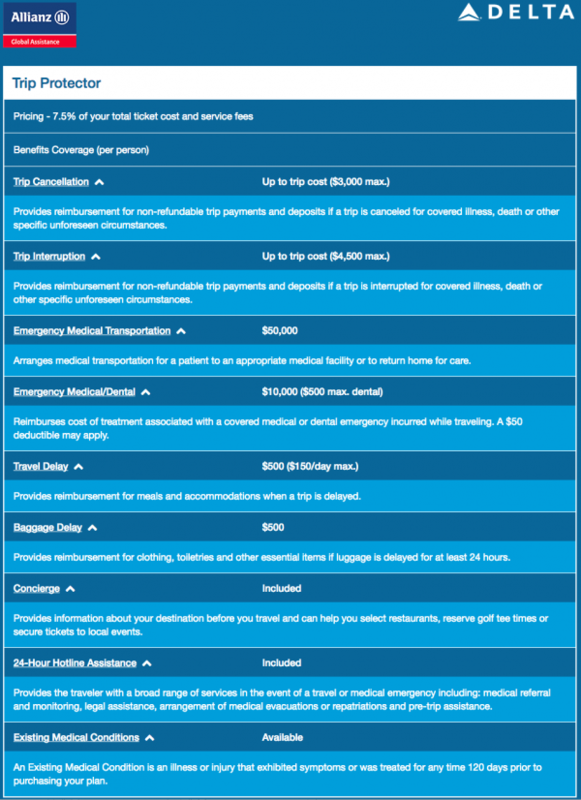 So, $100k of Travel Medical Insurance is where we would begin to feel comfortable. There is no logic whatsoever in saving a few dollars and taking less cover. One exception to this advice is for those travelers who have medical insurance that will travel with them. Our advice to those people for whom this is relevant – check, and get the confirmation in writing. Sometimes the cost of getting to a medical facility can exceed the cost of being treated. We like to see cover levels of $100k for medical evacuation when traveling close to the USA, and upwards of $250k if traveling somewhere remote. Why such a high figure? Because a private jet specially equipped with medical equipment and staffed with specialist doctors and nurses is mind-numbingly expensive. Thankfully, these call-outs are rare, but they happen every day somewhere in the world. Oftentimes due to simple incidents like road-traffic accidents with travelers unfamiliar with some of the more exotic driving practices in the country they are visiting. Here is what the check-out area looks like as we are strongly encouraged to buy Delta Travel Insurance. Note that we have to make a selection before we are allowed to purchase the flight. We have to confirm ‘yes’ or ‘no’ that we wish to buy Delta Travel Insurance. We are told that it is ‘Highly Recommended’. There is an arrow pointing to the ‘YES’ button. Then each and every tiny, pitiful, benefit has a tick mark next to it, like a child’s school report. It is as if a company marketing specialist had completed hundreds of hours of work to encourage you to buy Delta Travel Insurance. Our advice – wait, take a deep breath, and check to see what they are trying to sell you. Delta Travel Insurance is just about useless for an international trip, in our opinion. First, let’s look at the benefit levels. We earlier talked about a minimum level of Travel Medical Insurance of $100k. If you buy Delta Travel Insurance you are going to have only $10k of cover to support you overseas. This is a pitiful amount of cover. It simply is not going to support travelers who find themselves with a serious illness or involved in a serious accident. What is worse is that the traveler who buys this type of cover probably thinks that they have sufficient protection. They don’t. And this may be true. An average medical emergency transportation cost may well be $25k. We don’t want protection for the average cost, we want protection for the likely worst-case cost. That’s why we buy travel insurance. $50k of emergency medical transportation cover is insufficient. CDC discusses evacuation costs that exceed $100k. $100k is the minimum amount of Evac cover that we feel comfortable with. $250k feels even better. When we review Delta Trip Insurance it always feels as though it is a bare-bones policy at a Rolls-Royce price. 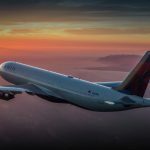 Delta uses Allianz Travel Insurance to provide cover. Allianz is a great trip insurance carrier, but the Allianz Travel Insurance that is sold by most airlines is weak. And expensive. It is truly the worst of both worlds. Here are the full benefit levels for Delta customers. Provides reimbursement for non-refundable trip payments and deposits if a trip is cancelled for covered illness, death or other specific unforeseen circumstances. Arranges medical transportation for a patient to an appropriate medical facility or to return home for care. Reimburses cost of treatment associated with a covered medical or dental emergency incurred while traveling. A $50 deductible may apply. Provides reimbursement for meals and accommodation when a trip is delayed. Note that Trip Cancellation is only available up to $3,000. This is fine for most people, but if your trip cost more than this, you are unprotected. Be very careful with Delta Travel Insurance. There are tricks at every corner, it seems, to catch the unwary. Also within the Delta policy document we find reference to Work Cancellation. In keeping with the rest of the policy, the benefit is weak. An employee needs to have three years of continuous service with an employer in order to benefit from protection in the event of termination or lay-off. The best travel insurance policies will only need one year of service. You or a traveling companion is terminated or laid off from a company after your plan’s effective date. The termination or layoff isn’t your fault. You worked for this employer for at least three continuous years. Note, also, that there is no mention of any trip insurance protection if your employer cancels your vacation. So, if you buy Delta Trip Insurance and have your holiday cancelled by your boss, your insurance will offer you no protection whatsoever. Please remember that AardvarkCompare has no particular bias towards one insurer or another. All we seek is that insurers offer a range of different, world-class travel insurance options. We want each of our carriers to have formidable customer service. We need no less than an ‘A’ rating from A.M. Best. And finally, we expect that every travel insurance carrier that we partner with be happy with comparison. This way, a customer can compare some of the best travel insurance policies in the market. They can clearly see benefit levels, and can compare price. As a result, our customers get to see true value. Let’s see what we get when we run the same trip insurance quote through our carriers. 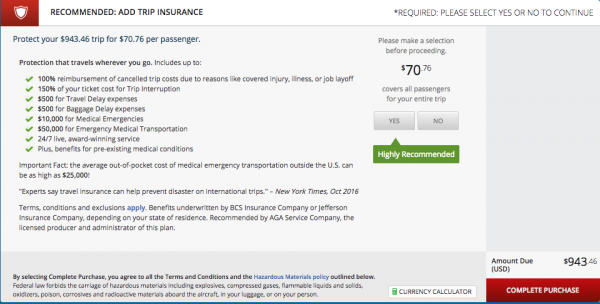 Remember, the expensive Delta trip insurance was priced at $71, and had many critical limitations. What is immediately obvious is that for the exact same trip, we are able to buy cheap travel insurance for less than $30. That’s less than half the price of Delta Trip Insurance. But, is this cheaper trip insurance any good? What are the cover levels? Yet again, the iTI Lite Plan looks like a good bet. It is inconceivable to us that any international traveler would buy Delta Trip Insurance. Whenever we review Delta Travel Insurance we come to the same conclusion – it is overpriced with poor cover. Take the time to compare your options and you will be surprised at the depth and quality of trip insurance alternatives available to you. 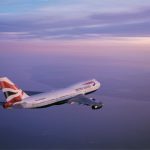 Don’t I Need to Buy Travel Insurance as soon as I Book my Flight? The airlines all do an incredible job in persuading us that we have to book their flight insurance immediately. Well, this is total nonsense, of course. You can book your trip insurance right up until the day before you fly. Now, we will always recommend that you buy trip insurance sooner rather than later. 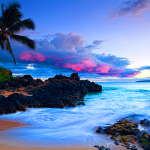 The first is that your cancellation benefits only begin once you have bought trip insurance. The second reason is that most comprehensive trip insurance policies will have additional ‘time-sensitive’ benefits built into the rate that is charged. This ‘Time-Sensitive Period’ equates to a number of days from your initial trip deposit. It is normally between 10 and 15 days. If you buy your policy within the ‘Time-Sensitive Period’ you get to unlock any added protections that are reliant on a prompt purchase of trip insurance. Things like Pre-Existing Medical Condition Cover, Cancel for Work Reasons, and Cancel for Any Reason benefits all need a swift purchase of trip insurance. But, you still have over a week to compare policies before you make your decision. Do not let Delta, or any other airline, rush you into buying its awful cover. 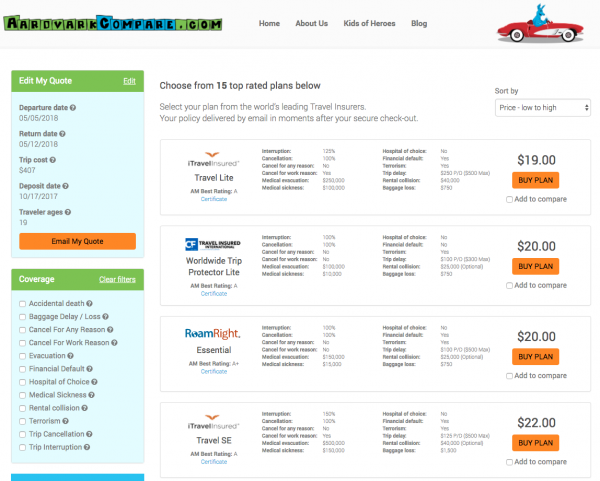 AardvarkCompare does for Travel Insurance what Amazon does for shopping. 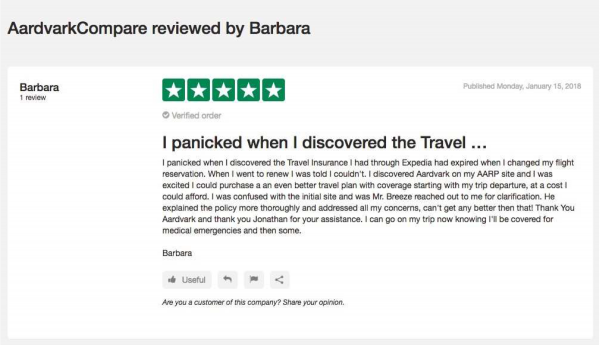 Instead, take the Amazon-like Travel Insurance experience with us at AardvarkCompare. So when you buy trip insurance, which policy should you choose? 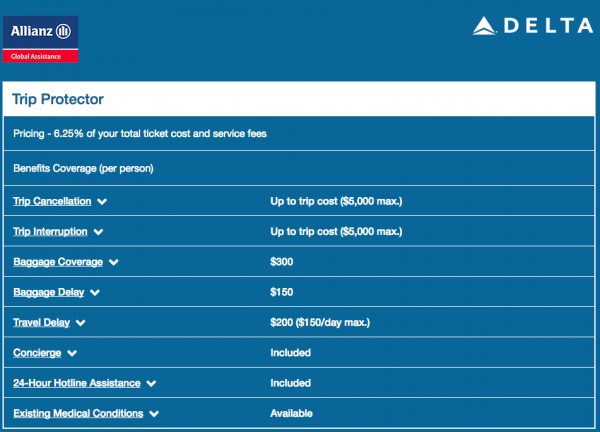 Delta Travel Insurance – Does Aardvark charge More? You won’t find the same trip insurance plans available at a better price – price certainty is guaranteed as a result of anti-discriminatory insurance law in the US. 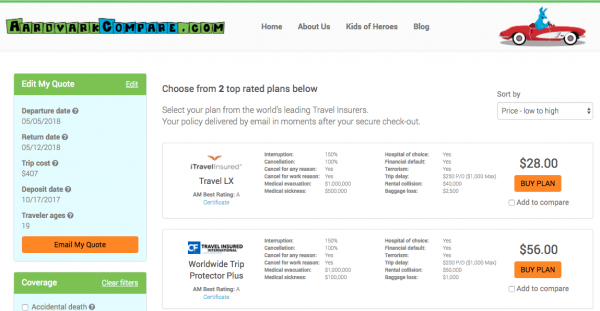 Travel Insurance Comparison better explains how this protection is built. But, in short, when you buy trip insurance with AardvarkCompare you can be certain that you could not have found the same trip insurance plan at a better price. We charge you the exact same price as if you had visited each of our carriers directly. And, in the highly unlikely event that you end up in dispute with the insurance carrier in the future, you will have all of our purchasing power and influence to help you resolve your issue with the carrier amicably. AardvarkCompare is the world’s fastest insurance site. Just give us one minute of your time, and we will find you a range of options to compare against Delta Travel Insurance. Enjoy your next trip with Delta.